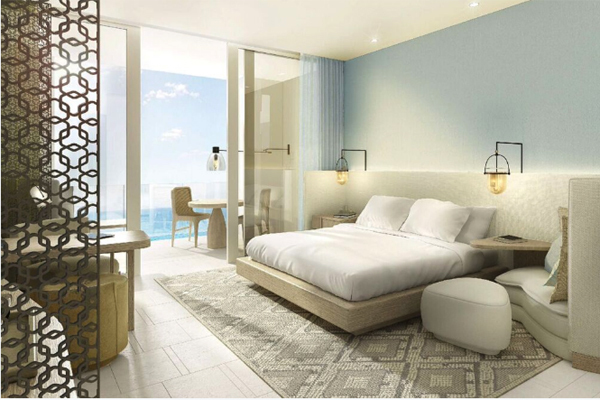 International hospitality chain Hyatt Hotels Corporation is expanding its footprint in Jordan with the opening of a new hotel in the popular seaside destination of Aqaba announced for the summer. Hyatt Regency Aqaba Ayla will mark the second Hyatt hotel in Jordan, joining Grand Hyatt Amman, and more than 150 Hyatt Regency hotels worldwide. The hotel is centrally situated within the Ayla development, an exquisite waterfront complex, set to accommodate a plethora of dining and entertainment facilities such as a prestigious golf course, numerous retail outlets and the exclusive Ayla marina. The Hyatt Regency brand offers a one-stop experience that puts everything guests need under one roof as well as a full range of services and amenities, including notable culinary experiences; technology-enabled ways to collaborate; the space to work, engage or relax; and expert planners who can take care of every detail. Hyatt Regency Aqaba Ayla is a five-star property that creates an ideal addition to the up and coming region, given that the Ayla development is set to drive to an influx of tourism to the destination on the Red Sea from across the GCC region as well as other international feeder markets. “The key location of the property within the Ayla Oasis is set to open many doors for us in the market, given Aqaba’s ever expanding tourism sector from the regional and international markets”, said Mohammad Labban, general manager of the hotel. “At Hyatt Regency Aqaba Ayla, we will set the stage for dynamic interactions where our guests can come together to socialise, collaborate or celebrate. Given that the property is both new to the populous city itself, as well as is the first to open its doors within the Ayla development, we look forward to the visiting and resident communities engaging with the brand and its varied culinary offerings, as well as utilising our exemplary conference and design led event facilities. We look forward to a prosperous launch and continued growth and development in the Hashemite Kingdom of Jordan,” said Labban.